By the early 1990s, Alaska&apos;s halibut stocks had dwindled to the point that the commercial season lasted just two days. Fishermen were forced to frantically haul in as much halibut as they could over that time, flooding the market and sending prices plummeting. What wasn&apos;t sold fresh was frozen into an even less lucrative product. During those same years, Canada&apos;s commercial halibut season lasted at least six months. The difference was that in 1991 Canada switched from the conventional fisheries management system, which set a limit on the total halibut haul, but let fishermen fight it out for a share, to a catch-share approach. 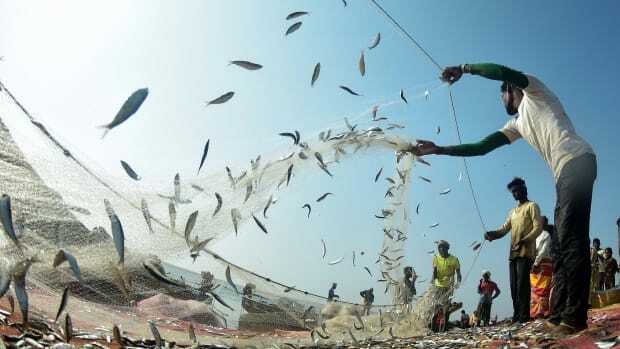 Each fisherman was allocated a particular portion of the total harvest, which they could catch at their leisure. Alaska followed suit in 1995, and its halibut stocks have since rebounded to the point that the commercial season there now lasts nearly eight months. Catch-share systems are used to manage at least 120 fisheries worldwide, most of them in New Zealand, Australia and Iceland. The economic benefits of the approach have been fairly well established, but there hadn&apos;t been research done on a large scale on the consequence of the approach for seafood stocks. Now researchers at the University of California, Santa Barbara, and the University of Hawaii at Manoa have analyzed data collected from 1950 to 2003 from more than 11,000 commercial fisheries around the globe. Their conclusions, published Thursday in the journal Science, are striking: Those that were managed using catch-share systems were half as likely to have collapsed by 2003 as those under a traditional system. Moreover, the longer the fisheries had been managed using catch shares, the better shape they were in. "It was a huge, huge effect," says Steve Gaines, director of the Marine Science Institute at UCSB and one of the authors of the paper. Catch shares, he added, "dramatically changed the story." "They actually prevent collapse," said co-author Christopher Costello, an economist at UCSB&apos;s Donald Bren School of Environmental Science & Management. The researchers used the same data as a headline-hogging study published in Science two years ago. It predicted that if nothing changed, all of the world&apos;s fisheries would collapse by 2048. That report ushered in an era of fearful prognostications over the future of fisheries and the health of the oceans and prompted Gaines and his colleagues to turn their attention to potential solutions. "We were motivated by all the doom and gloom reports we&apos;ve seen about oceans over the last few years," he said. They focused on the most common kind of catch-share system: individual transferable quotas (ITQs), in which the total allowable catch is divided up between share holders, as it was in the Alaskan halibut fishery. Another approach gives fishermen exclusive rights to fish in a certain area. That system works best with species like urchins and abalones that don&apos;t move much, giving share holders the chance to sustainably manage them within their allocated area. Gaines and his colleagues set out to see if a catch-share approach could help head off the catastrophic decline in seafood stocks predicted by the notorious 2006 report, known among those in the field as "The 2048 Paper." The answer, they found, is a resounding "yes." The secret to the success of catch shares, Gaines explains, is that they give fishermen ownership of a fishery. "They basically own an asset that is a share of the total catch," Costello said. "It&apos;s just like if you own shares in Microsoft or Google." Like those holdings, catch shares can be bought and sold. They increase in value as the fish population — and hence the total allowable catch — grows. Privatizing the ocean in this way has its share of critics. In a 1999 report, Greenpeace argued that it had hampered fish conservation and led to job losses. However Gaines notes that "on land, the biggest driver of conservation is the ability to buy property and set it aside." Catch shares increase in value as the fish population — and hence the total allowable harvest — grows. "The more profitable Microsoft is," Costello says, "the more valuable your share is, so you would want to make sound decisions." "The more profitable Microsoft is, the more valuable your share is, so you would want to make sound decisions." Compare that to traditional quota systems, which spur "a race to fish among fishermen," Costello said, "in which they&apos;re really trying to compete with each other to catch more and more fish." It&apos;s a version of the "tragedy of the commons," the concept popularized by UCSB&apos;s Garrett Hardin in a 1968 article in Science in which he noted that people are likely to draw the maximum they can from shared resources even when doing so is likely to destroy the resource. If stocks dwindle, fisheries managers may cut the total allowable catch, often prompting an outcry from fishermen whose livelihoods depend on how many tons of seafood they pull out of the ocean. 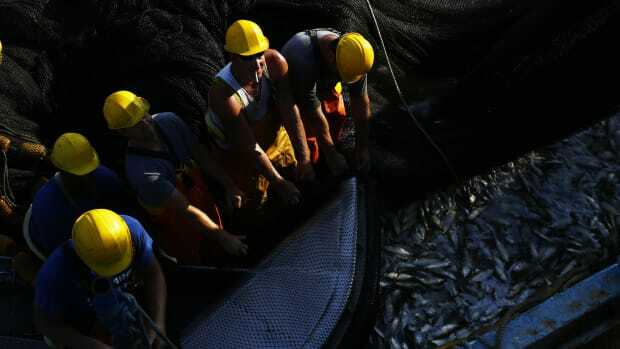 If resource managers rescind and boost the total quota for the fishery, stocks will be hit harder. The result, Gaines said, can be "a vicious spiral down to fisheries collapse." By contrast, in some areas where catch-share systems are used, Costello said fishermen have lobbied for lower total catches in order to sustain fish populations in the long term. Some have changed how they fish to reduce the impact on the ecosystem — even if it means hauling in fewer fish on each trip. That wouldn&apos;t happen under a traditional management system, Gaines said, because of the race for as a big a share as possible of a limited harvest. Conventional fisheries management systems may thwart fishermen&apos;s efforts to sustainably manage seafood stocks because anyone who opts for a less intense approach will lag behind in the race to harvest. But if catch-share systems are so great, and they&apos;ve been successfully used in other parts of the world since the 1970s, why haven&apos;t they been widely implemented in the United States? Pete Leipzig, executive director of the Fishermen&apos;s Marketing Association, which represents trawlers on the West Coast and is pushing for a catch-share system for the groundfish fishery there, puts part of the blame on a sluggish bureaucracy. "The industry&apos;s been talking about it for 10 years," he says, "and we&apos;re five years into the federal process." In November, the Pacific Fishery Management Council, which manages the West Coast groundfish fishery, will decide whether to move to a catch share system. One of the stumbling blocks has been figuring out how to initially allocate catch shares — a common cause of consternation, Gaines said. It&apos;s been done in other fisheries according to historic fishing patterns or by auction. Leipzig said trawlers were steamed when seafood companies asked for sizeable chunks of the West Coast groundfish trawl allocation. Until the PFMC makes a decision on that, "there&apos;s a lot of uncertainty," Leipzig said, "and the fleet&apos;s very, very nervous." Change in general makes fishermen nervous, he added. "They tend to be conservative. When you start to talk about change, they wonder what it means to them, their families, ports." Nonetheless, "I think they know that things have to change." He believes the change will be positive: a rare win-win both environmentally and economically. Under catch-share systems, the price of seafood often rises, Gaines said. Rather than being forced to flood the market during a limited fishing season, fishermen can spread out their harvest, pulling in more fish when they know there&apos;s a high demand. "A fisherman can make the business decision of when he wants to fish: when it&apos;s available to fish, when the market is best, when the weather is safest," Leipzig said. For consumers, Gaines said, the price increase isn&apos;t as bad as it sounds because they&apos;re getting a better product: fresh seafood for more of the year. Under Alaska&apos;s "old derby-style halibut fishery," Costello said, "consumers were loving it for two days of the year because they could get all the halibut they wanted for dirt cheap. But what about the other 363 days of the year? For decades, we've been underestimating how much food the world's oceans can provide, and how quickly those fish stocks are declining. Pilot project democratizes — and hopefully improves — gathering of scientific data by enlisting commercial fishermen in the study of their local fisheries.